Red Slice Press, 9780984893904, 226pp. Rebooting My Brain is the true story of what happens when you get yanked out of your life by a crisis―and have to get back on the ride all over again. With refreshing candor, Maria Ross shares how the relentless pace of her life came to a screeching halt when an undetected brain aneurysm ruptured and nearly killed her. Along her stubborn road back to health, her resulting cognitive and emotional challenges forced her―sometimes kicking and screaming―to reframe her life, her work and her identity. With humor and heart, Ross shares what it was like being blind for six weeks, how a TV crime drama and a brain-games website played key roles in her recovery, and why a handmade necklace helped her regain her sense of self. Ross reveals the keys to her extraordinary comeback and how her perspective is forever changed, mostly for the better. 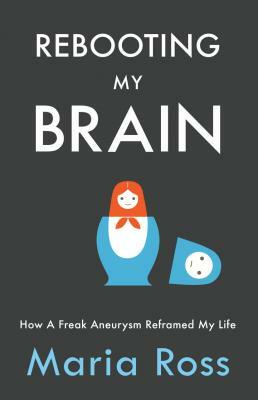 Funny, touching and real, this book not only shares an inspirational story of transformation but enlightens readers about the surprising effects of brain injury... and explores the question, "How do our brains define who we are?